FORZAONE™ has developed what we consider the new gold standard in pre, intra and post workout carbohydrate and amino acid technology. 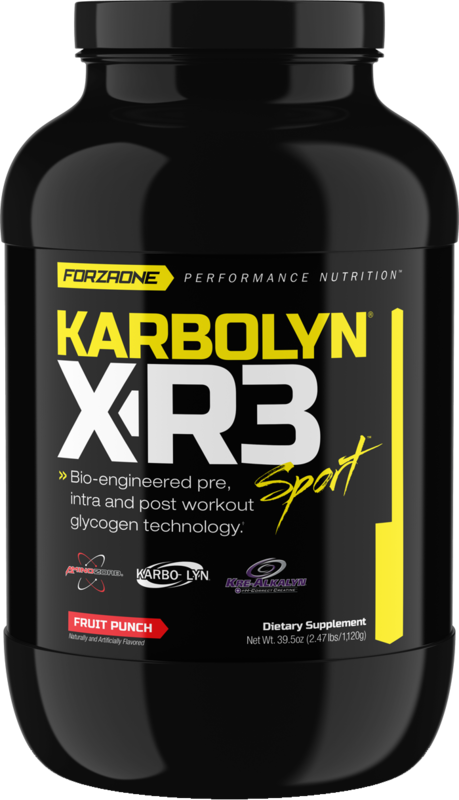 Utilizing patent-pending, sustained-release, bio-engineered carbohydrate technology (Karbolyn®), coupled with double patented, bio-engineered, amino acids (AminoZorb®) and 100% stable Creatine technology (Kre-Alkalyn®), KARBOLYN X-R3™ is primed to set the supplement world ablaze! If you’ve never experienced the benefits of a product like this, try adding this to your supplement regime and push your training to new heights! 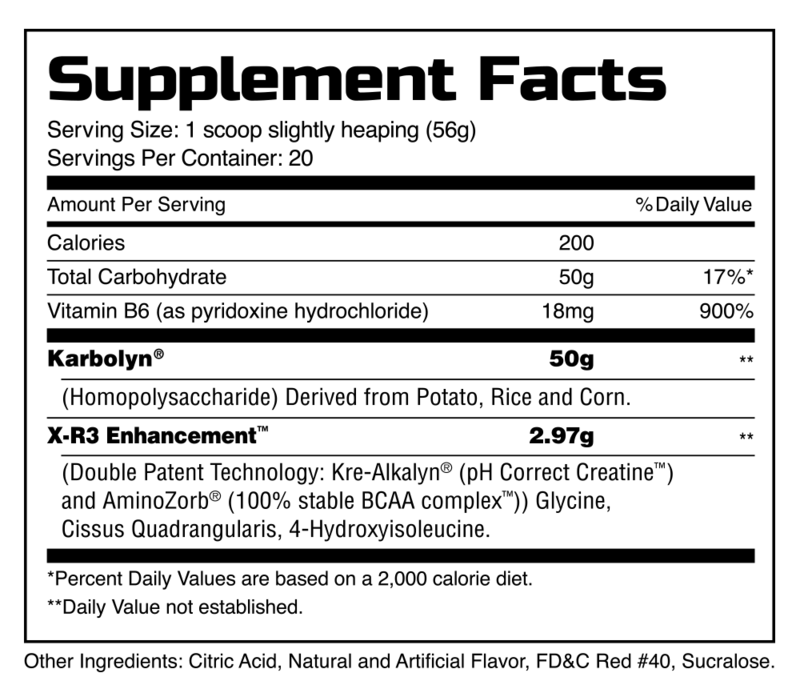 SUGGESTED USE: Pre: Mix 1 scoop in 10–12 ounces of water 45 minutes before exercise. Post: Mix 1 to 2 scoops in 16–20 ounces of water immediately after exercise.